Despite three years of essentially the same offense, Penn State football has relied on different methods to move the chains since 2016. For example, last season the Nittany Lions ran for 133 first downs after running for 99 of them the year prior. Through the air Trace McSorley and company passed for 116 first downs in 2018. That seems like a lot, but it's dwarfed by the 172 he had tossed just 12 months earlier. And in 2016, the Nittany Lions were just about even, 122 first downs on the ground and 134 through the air. In total it works out to 776 first downs, 54% of them earned through the air and 46% on the ground. Nearly balanced, just like all things should be. 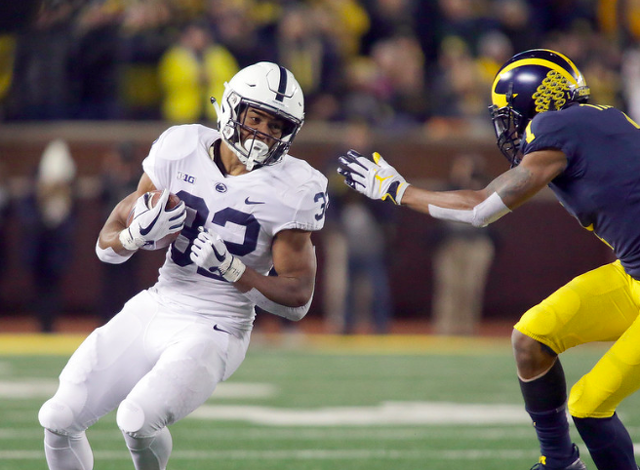 It's a reminder that, as Penn State rounds into Blue White weekend and the final few practices of the spring, nobody really knows what this offense's strengths will be. Generally, it stands to reason that Sean Clifford or Tommy Stevens will be serviceable passers, but as 2018 showcased, having a good quarterback is only about a third of the battle when it comes to a good aerial attack. And sure, Ricky Slade ought to be very good on the ground and Journey Brown has received plenty of his own praise from the staff this spring. But until they're doing it on their own with 110,000 people looking at them, who knows if they're up to the task, and who knows what a newer offensive line will do to help, or hurt, their cause. So what exactly do you work on with an offense that has no obvious strength and no apparent weakness? "In the spring that's what you have to focus on, making sure you don't spend all your time out here doing the things you are pretty good at," James Franklin said after practice on Wednesday. "You've got to make sure that you've got enough depth in what you're able to do in terms of your playbook and what you have confidence in that you can go into fall with lots of different things you can do and be successful. "It's funny, you look at cut ups from around the country and some of the best offenses sometimes they're not really great at anything but they're good at a lot of things. And I think that's where you want to get to. Obviously there are some things you want to be able to hang your hat on, that you do want to be special at and that's typically where you have tendencies, but for us, that's what we're trying to do this spring. It's not about beating the defense, it's about getting as much of the stuff in, that when we come back during fall camp there is some recall and there's some confidence with what we're doing." It was an interesting, but accurate remark by Franklin to state what is not always obvious. Good teams are not always the best at something, but are rather pretty good at everything. Take Ohio State for example, total passing offense isn't really a nuanced stat, but it illustrates a point. The Buckeyes have finished the season inside the Top 30 of passing offense just once since 2014-15 and have finished inside the Top 10 in rushing offense just once over that same span. As for national title winners, they've generally been very good at something, but there isn't a hard and fast answer to how good you have to be. Penn State rankings in total passing and total rushing: Bolded, better average than eventual title winner. Again, measuring yardage output doesn't account for a whole slew of things, including efficiency, but it does go to show that winning a national title is more about not being bad in any area as it is about running your opponents over with untold yardage and unmatched output. Also, it helps to have a good defense, something every national title winner has had, Ohio State is the only team to win the playoffs with a unit outside the Top 10 in total defense. Of course Penn State is a long way away from having a serious national title conversation this calendar year, but heading into a season where plenty of things are question marks on offense, the best way to answer them is by shortening the list of weaknesses. And you can only do that by learning how to do everything and then going from there. "When we get closer to the season we'll start to refine and say this is what our identity is going to be," Franklin added. "And play to that identity as much as we can." 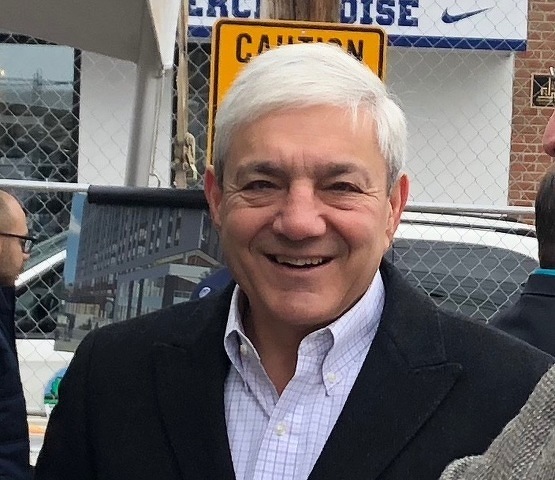 Former Penn State President Graham Spanier has been ordered to begin serving a two-month jail sentence on May 1.